After negotiations were stalled in 2008, private sector leader Qatar Chamber is hoping that talks on a free trade agreement (FTA) between the European Union and the Gulf Cooperation Council would resume to further develop EU and GCC (Gulf Cooperation Council) economies, an official has said. 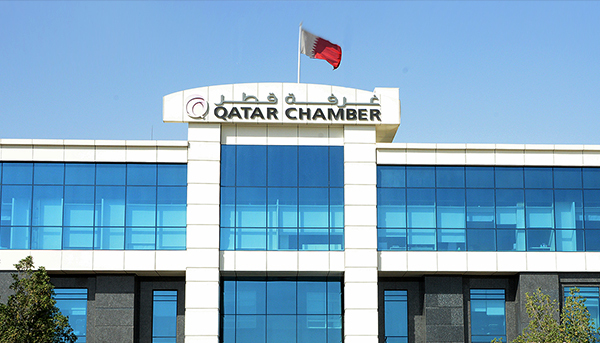 Qatar Chamber vice chairman Mohamed bin Towar al-Kuwari made the statement before 200 participants of a networking session between Qatari businessmen and their EU counterparts at the chamber’s headquarters yesterday. “I’d like to seize this opportunity to express that Qatar Chamber hopes to resume talks on the EU-GCC free trade agreement, which has been suspended in 2008. Indeed, there is a real desire and keenness in the GCC to find common bases that will help resume these negotiations for the benefits of EU and GCC economies,” al-Kuwari said. Speaking to Gulf Times on the sidelines of the event, Lucie Berger, head of Trade Delegation of EU to the GCC, explained that EU member states present in the meeting included Spain, Portugal, Romania, Germany, Bulgaria, the Netherlands, Belgium, France, Greece, Austria, Ireland, Italy, Poland, Sweden, the Czech Republic, and the UK. She said the participating EU companies specialise in sectors like renewable energy and energy efficiency, construction, real estate, health, education, sports, tourism, and food and agriculture. “The EU is the number one trading partner for Qatar. The GCC, as a whole, is our fourth export market and Qatar is the third largest economy for the EU in the GCC after Saudi Arabia and the UAE. In terms of import, Qatar is almost similar to the UAE,” she said. Al-Kuwari said Qatar-EU total trade volume reached $18.1bn in 2015. Major Qatari imports from EU countries include vehicles, rolling stock, tools and equipment, electrical machinery and equipment, articles of iron and steel, optical photographic cinema graphic, plastics and its products, iron and steel, and fresh or chilled vegetables. On the other hand, al-Kuwari said major Qatari exports to EU countries comprise mineral fuel, minerals, oil and its products, and polymers of ethylene in its primary shapes. “EU is a strategic and a very important trade partner for Qatar. It is a union with an economic clout to make a real difference on global issues and encourage all world businessmen to do investments. “Qatar-EU economic and trade relations are strong and growing rapidly at all fields and at all sectors. Strong and stable political relations between both sides have promoted their economic cooperation and trade ties to higher levels,” al-Kuwari said. In a related development, al-Kuwari revealed that in March, Qatar Chamber will lead a large trade delegation to the UK, which had proposed £500bn worth of investment opportunities to the Qatari business community.